G&G Computers, based in Truro, Nova Scotia, is a leading custom PC builder, and service provider who supports and manages many SMB’s network infrastructure in within Colchester County. Traditionally, G&G Computers used an American based Cloud backup solution for their clients that required them to purchase large blocks of storage upfront. This solution lacked elasticity and didn’t scale well with the demand for their services, also the fact that their clients’ data was being backed up to an American data centre was an issue for their customers who have concerns about privacy, like the doctors offices, law offices and other SBMs G&G Computers supports. G&G Computers made the switch to Cloud-A as their offsite cloud backup for their client environments, utilizing Cloud-A Bulk Storage, powered by OpenStack Swift and their own branded backup solution. Moving to Cloud-A has allowed G&G to grow their cloud storage needs on their terms, with no need to buy huge blocks of storage space up front, or export their client’s data to an unknown data centre in the USA. G&G was also happy to work with a fellow Nova Scotian tech company. The new backup solution has resulted in 30% cost savings in their backup costs, which has allowed them to pass costs savings on to their customers. G&G can now assure their clients that their backup data is close to home in Cloud-A’s primary data centre facility in Halifax, Nova Scotia. A couple of months ago we posted about CloudBerry explorer and some basics on how to set it up with Cloud-A Bulk Storage. Since then we have announced our partnership with CloudBerry after months of rigorous testing to ensure that CloudBerry’s OpenStack products integrate seamlessly with our Bulk Storage. 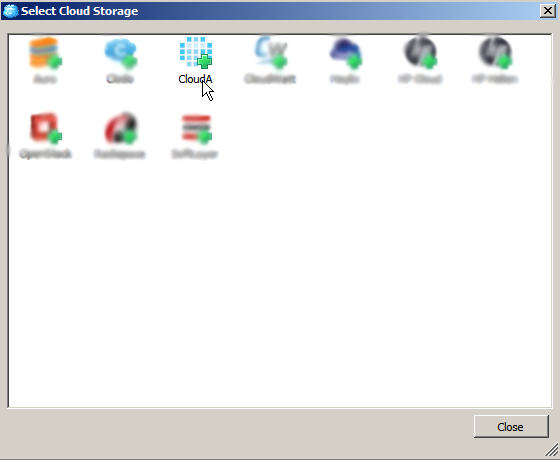 Check out our latest video tutorial on how to use CloudBerry Explorer with Cloud-A Bulk Storage. This solution provides a very simple interface for your Bulk Storage containers, allowing even non-technical end users to copy and move files from their local systems to the cloud.